Music with a message… Music with substance is making a comeback with recent works like Childish Gambino’s music video “This is America”, Imagine Dragons’ strong lyrical compositions and even Hamilton taking the world by storm. 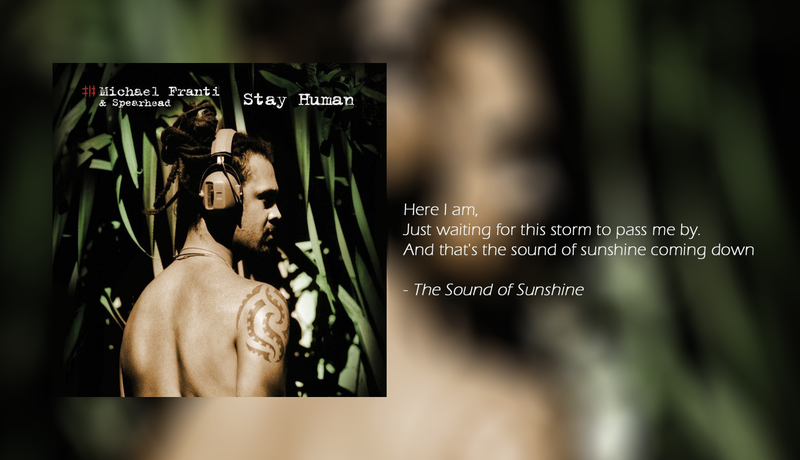 The craving is real, and Tucson is getting a dose of some soul-groove with Michael Franti & Spear Head’s “Stay Human Tour” on Friday, June 8, 2018. Franti’s music is characterized by its positivity and bursting energy created with bright percussion, guitar, and bouncy beats. It’s music that demands dancing. Its upbeats are reminiscent of a little ska, reggae, and rock, yet still has its own vibe. You may have heard his song “Say Hey (I Love You),” and it comes from a place of truth. Franti himself is all about the love. Franti is known as a humanitarian, filmmaker, musician and all around good dude. His music is about communicating passion, love, and a greater sense of community on a global level. Reiterating that we are ALL human, we suffer hardships, love and grow. ” I wake up in the morning and it’s 6 o’clock. They say there may be rain but the sun is hot. And I wish I had a dime for every bill I had to pay. Some days you lose you win and the water’s as high as the times your in. So I jump back into where I learn to swim. Try to keep my head above it as best I can. Just waiting for this storm to pass me by. -Michael Franti’s “The Sound of Sunshine” from the album of the same name in 2010. Tickets for The “Stay Human Tour” are available at your Tucson Bookmans locations! The goal is to inspire joy as well as the healing power and connection through music. Another little way we can all Stay Human. This article was written by Destiny Cooper, a Bookmans Northwest employee.